He said: ‘I can’t describe with words what I feel when I see the Northern lights, but in my opinion it is the most amazing phenomenon we can witness. ‘I wish everybody could see it at least once in their life. The 29-year-old native Moldovan used a Canon 5D Mark III to shoot the spectacle. Self-taught Iurie moved to Iceland in 2006 to follow his biggest passion, the Northern Lights. He is now waiting for the solar max in 2013-2014 to capture more aurora activity. 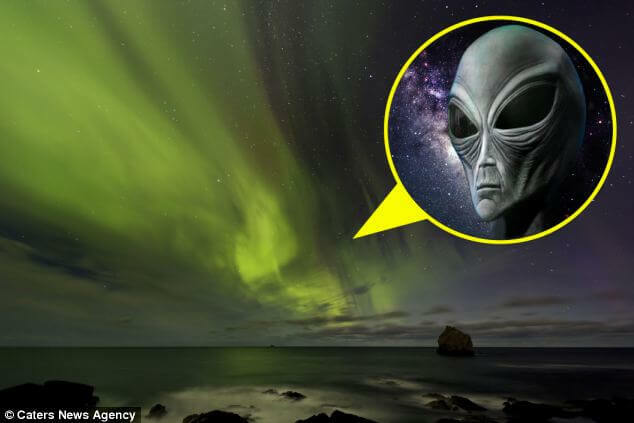 VIDEO: Alien Image captured in Northern Lights?